SAN FRANCISCO, April 2, 2018 /PRNewswire/ — Thoma Bravo, a leading private equity investment firm, announced today that it has become the majority investor in Nintex. Thoma Bravo acquired the interest from an investor group led by TA Associates, who will retain a minority stake in the company. Financial details were not disclosed. Nintex has become the recognized global leader in workflow and content automation (WCA) and, most recently, the innovator in the emerging intelligent process automation (IPA) market. With a strong ecosystem of more than 1,700 partners worldwide, Nintex helps business professionals automate, orchestrate and optimize workflows from within the enterprise software tools they already know and use, such as CRM, Cloud Content Management, E-Signature and Field Service Management. Today, more than 7,500 enterprises in more than 90 countries look to the Nintex platform to automate millions of critical business processes. Leading businesses in industries as diverse as banking, insurance, pharmaceuticals, government, manufacturing and healthcare rely on Nintex technology every day to empower their business and IT departments to quickly turn manual or paper-based processes into efficient, digital processes, accelerating digital transformation initiatives and creating efficiencies. BofA Merrill Lynch served as financial advisor to Nintex. Kirkland & Ellis LLP served as legal counsel for Thoma Bravo. Goodwin Procter LLP and Wilson Sonsini Goodrich & Rosati served as legal counsel for Nintex. Financing for the transaction was provided by TPG Sixth Street Partners and Wells Fargo Capital Finance. Thoma Bravo is a leading private equity firm focused on the software and technology-enabled services sectors. With a series of funds representing more than $20 billion in capital commitments, Thoma Bravo partners with a company’s management team to implement operating best practices, invest in growth initiatives and make accretive acquisitions intended to accelerate revenue and earnings, with the goal of increasing the value of the business. Representative past and present portfolio companies include industry leaders such as Barracuda Networks, Blue Coat Systems, Bomgar, Deltek, Digital Insight, Elemica, Global Healthcare Exchange, Hyland Software, iPipeline, PowerPlan, Qlik, Riverbed, SailPoint, SolarWinds, SonicWall, TravelClick and T2 Systems. The firm has offices in San Francisco and Chicago. For more information, visit thomabravo.com. Nintex is the world’s leader in intelligent process automation (IPA) with more than 7,500 enterprise clients and 1,700 partners in 90 countries who have built and published millions of workflow applications. With its unmatched breadth of capability and platform support delivered by unique architectural capabilities, Nintex empowers the line of business and IT departments to quickly automate, orchestrate and optimize hundreds of manual processes to progress on the journey to digital transformation. 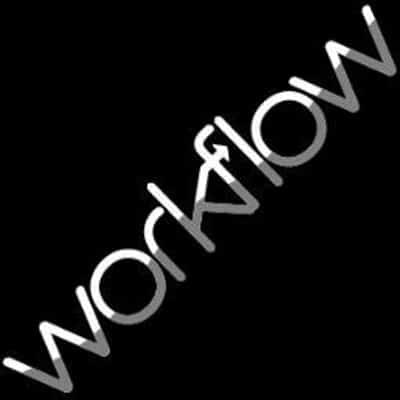 Nintex Workflow Cloud®, the company’s cloud platform, connects with all content repositories, systems of record, and people to consistently fuel successful business outcomes. Visit www.nintex.com to learn more.